And this guy followed me home. I shall call him stubby. 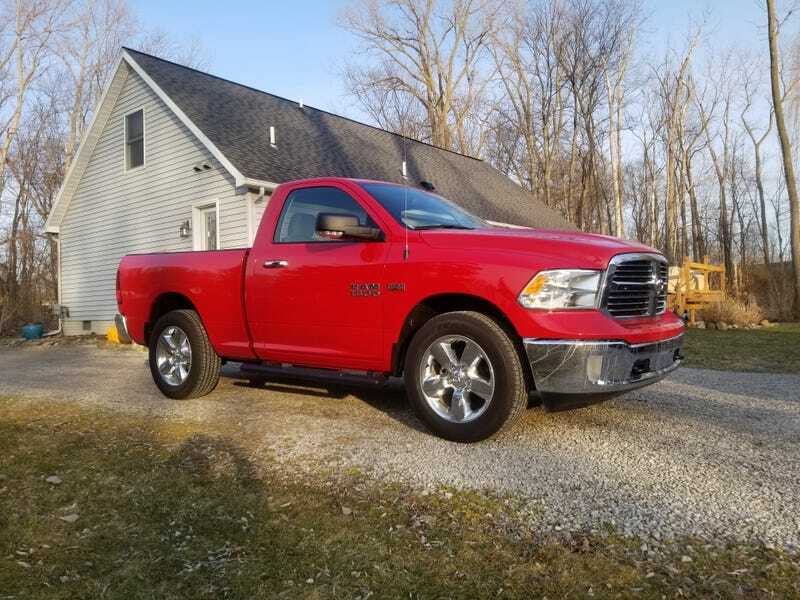 2017 4x4 hemi tow package with hooks and skid plates 7100 miles still got warranty until December. But the biggest surprise it’s a big horn with the nice interior heated seats and wheel. 25900 I might of overpaid a little but wow do I like it. I could of got an Express trim for 21000 to 23000 but big horn! Damn that’s a stupid name. The bed cover was a nice bonus.